When temps begin to heat up, it’s time to break out the lightweight khaki shorts - the world’s most versatile, lived-in, above-the-knee short pants. Whether you’re going out, hanging out, or taking an easy hike in the park, there’s nothing quite like the co ... (see full details) (see specifications) #GWS45KG. When temps begin to heat up, it’s time to break out the lightweight khaki shorts - the world’s most versatile, lived-in, above-the-knee short pants. Whether you’re going out, hanging out, or taking an easy hike in the park, there’s nothing quite like the comfort of khakis, and these Wrangler Men's Kangaroo GWS45KG Miami Flat Front Shorts are winners you won’t want to be without during warm weather. You’ll find these flat-front khakis comfortable to wear. They sit just below the waist, feature Wrangler’s 4-Way Flex for Comfort, and have a loose fit through the seat and thighs. Tight-fitting clothes are no fun in warm weather, and this relaxed fit will help keep you feeling good. These trim-looking Kangaroo Miami short pants have an inseam that's 9 inches, an ideal length for summer. These men’s work shorts are not like some that are super long with tons of extra fabric to get in your way. They’re an excellent choice when you want a pair that gives you that light and breezy warm-weather look and feel. And speaking of light, Wrangler manufactures these men's relaxed fit shorts of 8-ounce sateen. It’s a lightweight fabric that won’t weigh you down in warmer weather. This men's workwear is an excellent choice for warm-weather walks when you don’t want to feel the burden of a heavyweight fabric. This design from Wrangler is built for lightweight comfort. Sateen is a classic weave that produces a fabric that feels softer than some weaves and that has a bit of a sheen to it. These men's khaki shorts feel soft and comfortable against your skin, a perfect summertime choice for hanging out on a lazy day or taking walk on a warm evening. We’re not suggesting that you dress up, but when you want a warm-weather look that’s a bit more than a tee shirt and jean shorts, these are an ideal choice. Wrangler gave these plenty of pockets, too, without adding a lot of bulk. When you're ready to update your warm-weather wardrobe with shorts that are great for lightweight, comfortable wear and that will take you through all kinds of easy-going activities, these lightweight sateen Wrangler Men's Kangaroo GWS45KG Miami Flat Front Shorts are just what you need. 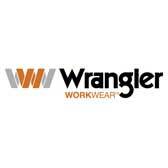 Wrangler makes them for you, and we’ve got them at Working Person’s Store. Wrangler Shorts: Men's Kangaroo GWS45KG Miami Flat Front Shorts is being added to your cart.